YouTubing, Baking, Football, Cricket, Sport, The Simpson’s, Pokemon, Haribo. Bugs and Insects, Baking, Crafting, DanTDM, Animals, Science, Gardening, Nature. Princesses, Animals, Dolls, Colouring/drawing, Ben and Holly, Disney. Jack was diagnosed with Cystic Fibrosis at 2 1/2. He was poorly from birth and has always suffered from digestive problems. When he developed a cough after a cold at 1 year old that wouldn’t go away, we knew something was wrong. At Christmas time in 2006, Jack was taken to hospital with meningitis. While there, the doctor did a chest X-ray which showed the left lower lobe of his lung was collapsed due to an ongoing undetected chest infection. It was then that the doctors looked through all his medical history and performed a sweat test that came back positive. He was diagnosed in February 07. Since then he has had a lot to deal with, he’s had numerous hospital visits and treatment but he’s trooped through it all and is still smiling! Jack has been really unwell, he spent the whole of the summer holidays in the hospital and Harry, Johnathan and Olivia spent theirs in childcare. Jack had a serious inflammation crisis and a bronchoscopy revealed one of his lungs packed solid with infection, we’ll go in for IVs more regularly now, every 8 weeks at the least. I’m gutted that we missed the holidays, This has been a hard year for us, especially with regards to Jack’s health and the break would have been so welcome. Jack has been really quite unwell recently. He’s had so many weeks and whole days in hospital having all sorts of tests, he keeps spiking fevers and feeling really unwell and no one knows why. He also has a declining lung function and a wet cough so the Dr’s are getting him in for a bronchoscopy and CT scan. I’m not looking forward to those results! Jack has also recently had a blood glucose monitor on for a week which shows he has CF related diabetes (very mildly) so he will also be starting insulin. It will be a tough few months for him after an already hard few weeks. Thanks to everyone as always who has taken the time to send post to Jack, Harry, Johnathan and Olivia this month. As always a huge thank you to everyone who has taken the time to write and send post to the children. We’ve all had a really tough war since Jack has had his gastrostomy fitted. He’s also started steroids which has meant his immune system is lower and his lungs have grown a lot of new and strange bugs! He’s about to go back into hospital for another ‘tune up’. Chessington was amazing, as always. Sadly, Jack became quite unwell overnight and during the second day, but still really enjoyed the rides and the park. 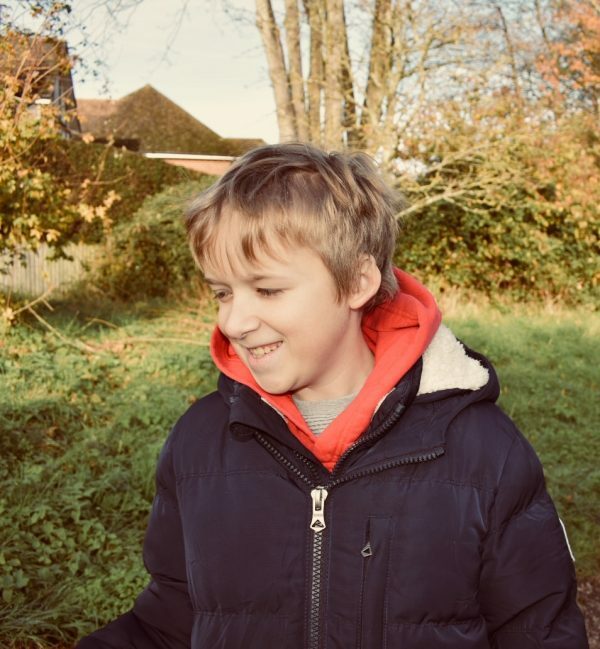 Jack has had a really difficult time at school due to all the time missed and that combined with a lot of hospital stays has meant all your post is really making him keep smiling. Harry, Johnathan and Olivia have loved everyone’s post as well and it’s helped to keep their spirits up when we’ve been away on inpatient stays. Thanks again for the amazing work of everyone at Post Pals. Jack has had a month of ups and downs. He went into hospital to have a gastrostomy fitted which went well and with the aid of some amazing staff at the Royal Brompton we got him through surgery with no major bother, he’s adapted well to the peg feeds,so hopefully he’ll gain some weight now. His chest isn’t as good though, he had a very sudden and significant dip in lung function whilst in hospital and it’s been discovered that he has small airways disease, he’s on a whole new bunch of medication to add to the already huge amount he’s on and we’ll be in close contact with the team to find out what’s next. Jack has had a really tough year, his lung function continues to decline.Despite him putting everything he has into gaining weight his time is up and the hospital have decided he has to have a gastrostomy fitted in March (Mum’s Birthday of all dates!) This has really upset him and brought up all sorts of anxieties and concerns. He has had a bad bout of pneumonia as well this year that gave us all a real fright. We keep plugging on with the IV antibiotics every 3 months, but he is slowly becoming resistant and needing them more and more. Jack isn’t all that well to be honest, he’s spent the majority of the last few months in hospital and after bad pneumonia and collapse in his lung he’s struggling to bounce back. A huge thank you for the boys post recently, Jack received a lovely Bearhug box today and Harry has been receiving such amazing monthly project parcels and they’ve all had some fantastic cards and letters. It’s going to be a really hard time in the upcoming weeks,Jack is going back in next week for a minimum of 3 weeks (locally and London) but probably longer, until they get his digestive and weight issues under control.He’ll also have his portacath replaced and a course of IVs. We also have Harry going though an assessment for autism, so we’re all struggling at the moment. Thanks again for all the love and support. Jack is doing well. We spent a week in Florida for his Starlight Wish, and the sun and swimming and running around Disney seems to do him the world of good! The new medication he’s on seems to be keeping him a lot more stable than he was and long may it continue. Annual review next month so fingers crossed it’s a positive one. Thank you so much to everyone who thought of us over Christmas. We really enjoyed your cards and gifts, the kids were truly spoilt! Jack has started high school and is having a really hard time because he doesn’t want to feel ‘different’ because of cystic fibrosis. His last clinic was excellent, his lung function is holding steady and his weight is up a bit, so I hope this sudden shake of his confidence doesn’t effect that. He’s looking forward to opening all the lovely cards he’s received for his birthday on Thursday, so thank you for those. We’re looking forward to Chessington, too. Jack is alright at the moment. Still coughing away merrily, but that’s fairly standard. We’re enjoying the summer holidays by relaxing and having a break before high school starts in September. We’re all really excited for the Post Pals Chessington trip, which is very close to Jack’s birthday and will also be the weekend before IVs start again. Jack hasn’t started insulin as previously expected because the team felt the changes in his blood sugars were only minor. We are looking at the possibility of a feeding peg instead to try and bulk him up a bit. Jack and Harry have been playing Pokemon Go and would love to hear about anyone else playing and what you’ve caught. Jack is reasonably ok, he had a scary moment where he was quickly taken into hospital and started IVs after a sudden decline in health.He bounced back quickly and spent a week locally in hospital and then a week at the Brompton, where they fine tuned some of his medication. He’s 3 weeks post IVs and his cough is back but we’re resigned to this happening now. He’s starting High school in September, so emotions are running high, as he leaves his friends and teachers behind and starts out as a little fish in a big pond. He’s hopefully going to have a gastrostomy fitted soon to help him put on weight, as he’s really struggling to gain weight. Thank you for all the lovely post this month. Jack’s chest is quite bad at present, he will also be starting insulin as his test results came back showing the beginnings of CFRD, he’s in desperate need of some IV antibiotics! Jack will be in the Brompton this month and Harry will also be going in to have a mass removed from his neck that’s in a tricky place. Jonathan will be staying at home without his brothers or sister so he’s a bit sad, so any post to all 3 boys this month to make them smile would be fantastic. Jack has recently had 2 weeks of IVs and blood sugar monitoring done, he is still coughing and the cystic fibrosis team are stumped as to what to do with him, they’ve exhausted all options. They don’t feel surgery to remove the badly affected lung is worth the risk of the operation for a small benefit. They’re going back to The Brompton to have a talk to all the specialists there and see if they can come up with anything, we’re going there in June for the next 2 week set of IVs. Jack continues to struggle with a constant very wet cough, he’s started using a physio vest this past few days, he loves the shaking, it makes him sound like a robot! The local team have asked the Brompton Doctors to see him, because they’re stumped as to what to do next. He’s started medication for some bugs he’s grown, so fingers crossed they’ll have some effect. Thank you for the boys post they’re always so pleased to see that post has arrived for them. Jack isn’t all that well, he had IVs up until Christmas Eve, then we went on holiday ,but after a week he was back to having a bad, wet cough, breathlessness and feeling generally unwell. We spent New Year’s Eve in hospital. I’m hoping that we might get a plan of some kind soon because at the moment Jack isn’t improving whatever we try and he’s getting quite disheartened and low. Thank you for all the lovely Christmas cards and gifts and the fab sweet boxes! They’ve really cheered Jack up. Jack isn’t doing all that well at the moment, his upper right and middle lung has collapsed slightly and he’s really struggling to keep it clear, empty and pain free. His cough remains bad and he’s been in hospital having early IVs. He remains in good spirits as always though. Harry however is increasingly struggling as the sibling of a child with a long term illness and he worries a lot about Jack and struggles to talk about it. Jack isn’t doing all that well unfortunately, he’s got a very bad cough and has been getting a pain in his chest, he’s having 4+ sessions of physio a day which is exhausting for him and us. He’s enjoying his new school and he has joined the scouts which he’s having a lot of fun at. Thank you for the boys post this past month. Jack received loads of lovely birthday cards and a couple of gifts to make his birthday a bit brighter in hospital so thank you for everyone who took the time to do that for him or to write to Harry. Unfortunately Jack isn’t doing too well at the moment, the excessive bronchiectasis is causing him to be in pain and coughing an awful lot and these doesn’t seem to be an awful lot we can do about it. IVs are being brought forward to late Nov/early Dec time in the hope that he’ll be feeling a bit better over Christmas. What an astounding amount of beautiful cards for Jack on his birthday! Thank you everyone, it turns out having a birthday in hospital doesn’t have to be so bad after all! Jack and Harry have started a new school and are enjoying it a lot. Jack is in hospital on the 14th September for 2 weeks of ivs and some minor surgery, but it’s his 11th birthday the day after we get there. He’s not going to be able to do anything much this year to celebrate, so that’s a shame. He’s growing some new bugs in his chest which aren’t common ones, so we’re playing the waiting game to see what we need to do about it. Fingers crossed the ivs help him to pick up and we can get him back home and back to school as soon as possible. Jack is about the same as always at the moment, he is still having 3 monthly IVS and his cough is still persistent. Jack and Harry are starting a new school in September which I’m sure will be exciting for them once they settle in. We’re spending the summer holidays just relaxing and having some quiet time at home, as we’re all quite tired at the moment. Jack is about the same as before and struggling with an ongoing wet cough. We’re keeping going with all the daily medications and physio though which is all we can do unfortunately. Jack will be going back in to our local hospital in June for iv antibiotics for 2 weeks. We’re delighted with the arrival of our fourth and final baby in April. We’ve called her Olivia and all 3 boys are very proud to have a baby sister. Jack has had a really tough couple of months, he’s been into the Brompton for a Bronchoscopy and 2 weeks iv antibiotics. We found out that he has severe bronchiectasis in his upper right lung which is causing a lot of infection and growth of pseudomonas. He’s started some new nebuliser antibiotics which might hopefully help but it has meant our daily slog just got a whole lot harder. In more positive news, we are expecting a new baby very soon so we’re all excited about becoming a family of 6. Jack is still struggling with his chest and we’re going to London for a week soon for a Bronchoscopy, CT scan, IV’s and a general thorough investigation to see if we can make headway with getting his lung function up and his cough gone. The boys really enjoyed their balloons in the post! Thanks for all the post and the lovely gifts and cards at Christmas too. Jack has had a mixed month. He has a bad cough at the moment but isn’t due IVs until December. 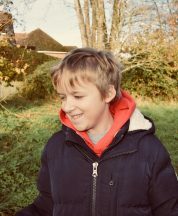 He’s also struggling quite a bit to settle into his new year at school and we are trying to get some help to work out why and how we can support him. He had lots of lovely birthday post in September so a huge thanks to everyone that took the time to write to him. Jack and Harry are both looking forward to Halloween and celebrating firework night with their little brother who will be 2 on that day. Jack is doing well, he’s just had another course of IVs so we have a while (3 months) before the next. His cough is fairly dry but lung function is still quite low. Thanks to everyone who has sent us messages, cards and gifts this month. Jack is doing ok. His cough is remaining infrequent and he’s keeping up with physio and medication. Thank you to everyone who sends the boys post, they really enjoy it and it really cheers them up. Harry has had a lot of bullying so it’s nice to see him smile at the things you all send. Jack likes to open his post after getting his medicine done and he’s feeling a bit tired and grumpy. Jack had his annual review in March and it wasn’t good news. His lung function has dropped a significant amount, he’s growing Pseudomonas on his chest and he’s got a really wet cough. He’s been in hospital on IV antibiotics since then and came home a few days ago. He’s feeling a bit better and I think this last admission gave him something to think about now he’s getting a bit older and can understand more. We’re trying to keep him active and aid his physio with little games that get him running around and working his lungs hard to make it more fun. Jack had a tough year last year. At the end of the year he grew some nasty bugs in a forced sputum sample. He has a bad cough again and will be spending half term having I.Vs. He’s getting to the age where he is feeling quite glum about having CF now he is beginning to understand it, so it’s quite hard at times at home. Jack is doing ok at the moment and he’s now 9! Thank you everyone for his birthday cards/gifts. He’s riding his new bike as much as possible so hopefully the weather stays dry. He’s glad to be back at school with his friends and he’s enjoying his new class. Jack is doing ok and his current medication/physio routine seems to be working. He’s looking forward to going back to school. He’s still playing a lot of football and is excited for his birthday as he’s learnt to ride his bike this summer. Jack is just coming out the other side of IV’s, hopefully his cough will stay away and his lung function will begin to improve! Jack isn’t great at the moment, he will be admitted onto the ward on the 8th April for ivs to try and shift this pesky cough! He is also currently being assessed for various learning difficulties at school so he’s having a tough time. He is still very smiley though and both the boys really look forward to the post arriving everyday incase there is a Post Pals letter for them! Jack and Harry both really enjoyed designing t-shirts and baby grows (for Johnathan) with the fabric pens too. Jack is doing ok, though he has a bit of a cough so we’re trying to get on top of that, but it may result in some iv antibiotics. We finally have Jack’s annual review on Monday, so let’s hope the snow doesn’t postpone it again! We’ve had a tough month or two. Baby Johnathan was in hospital for 2 weeks with Bronchiolitus and Jack had a bad cough/cold, plus Jack and Harry had tummy bugs. We’re all on the mend now though. Jack has his annual review at the end of the month and he’s started a new anti fungal nebuliser, fingers crossed everyone please that it works and gets rid of this ongoing bug! The Christmas cards/gifts were really great and we’re really grateful and touched that so many people took the time to think of all 3 boys. Post Pals really is an amazing charity that makes such a big difference to our lives. Thank you to everyone who has taken the time to think of the boys this month, it has been especially welcome as we’ve had a new arrival! Baby Johnathan arrived with a bang on firework night and Jack and Harry are enjoying being big brothers. Jack is reasonably well at the moment, he has a slight cough and we’re awaiting some medication to be issued by the hospital. Thanks for Harry’s birthday cards, he had a really lovely day! Jack has had a bad few months in the hospital, but hopefully things are more under control now and we’re just waiting on some test results to see what bacteria is growing in his lungs. Jack is excited for his birthday next week and both boys are looking forward to having a new little brother in November! Jack is currently in hospital, his bad cough continues and his right lung is struggling. After a few weeks in our local we’re being transferred up to London on Monday for a Bronchoscopy and to see the consultant up there for some new ideas and to try and get to the bottom of this. Your post continues to be of comfort and a joy to both Jack and Harry so thanks very much. It’s been an ok month for Jack. We have had lots of attempts at a Bronchoscopy and Iv’s but they keep getting cancelled due to other things happening at the hospital. We are all well though and Jack is ticking along in good health. Thanks for all the lovely post, both this month and every month. Jack is doing well at the moment, he is cough free and finally taking tablets! We had a lovely Christmas break in Scotland with friends and the boys are now back at school. They had so much really lovely post over Christmas so I would like to thank everyone that took the time to send to them. It’s annual review time again this week so please keep your fingers crossed it goes well. Jack is doing ok. He had a CT scan which revealed quite a lot of damage in one of his lungs but the rest was good. His cough has finally cleared up. He is enjoying school and the lovely weather. Thanks for all the post this month. Jack had his annual review this month. It is showing improvements in the changes in his lungs which is fantastic! We are however still battling with this cough that just won’t go! Thanks to everyone for the lovely post this month. Jack and Harry are looking forward to Pancake Day! We all had a lovely Christmas and Jack is doing ok at the moment. Thanks so much for all the lovely gifts and cards that people sent. Jack has an ongoing cough so will have to have a bronchoscopy. He is ok in himself though and is enjoying school. Thanks for all the cards, letters and gifts. 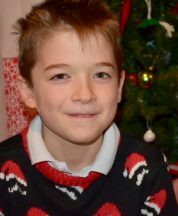 Jack is doing ok at the moment – he has just finished 2 weeks of IV’s and is now looking forward to Christmas! We went to see Disney on Ice and it was amazing! Thanks for the Halloween gifts this month – they were fantastic! Jack is ok at the moment; he is enjoying school and has joined construction club and choir. He also has a new ineb which is making life easier! He had a lovely birthday and thank to everyone who sent him a birthday smile. The summer holidays have flown by and jack still has this niggly cough. We had a fantastic day out at Chessington thanks to some tickets from Post Pals and we all had such a good time! The boys both still have their pillowcases on their beds from Post Pals too – they really loved them. We’ve also had lots of lovely letters and cards and gifts this month so many thanks. Jack has been very poorly this month; he has had 2 weeks of i.v’s but is still coughing badly. He isn’t eating and is very tearful. We have 2 weeks left of oral antibiotics then if there is no improvement we will be going up to London to have another Bronchoscopy. Jack is still playing and going to school but is very tired and chesty right now. Jack isn’t too bad, he will be having iv antibiotics in hospital for 2 weeks on the 8th June and they are routine, but he does have a cough that he cant shift as well at the moment. We have had a very tough month this month as Jack’s Nan (my Mum) passed away during surgery so we have all been grieving and in shock too. Jack was so very close to his Nanny. Jack is continuing to do well though no changes of the CF front. He is enjoying school and his topic which is ‘under the sea’. Both boys have really enjoyed the influx of post they have received this month, thank you everyone. Jack is doing ok at the moment. We have had a tough month as his Nan (my Mum) is in hospital waiting for a serious heart operation, but we have been keeping our spirits up as best we can. Jack and Harry loved the Bunny that was adopted for them, it was a lovely gift. Jack is still enjoying school and keeping well. Jack is continuing to do well and his annual review was really positive with an improvement on this time last year. Our next challenge is to get him to swallow tablets, so if anyone has any tips, please let us know! Jack is continuing to do well and we had a lovely Christmas. Thank you to everyone who took the time to send Jack and Harry something. Jack has had a tough month, he was admitted to the Royal Brompton in London to have his Portacath replaced and we have just finished 2 weeks of I.V’s but now hopefully things are back to normal (whatever that is!). Thanks for all the lovely gifts and cards you have been sending and thanks for not forgetting Harry, we really appreciate it! Jack is in hospital at the moment, he has had to go to London for an operation to change his Port and a Bronchoscopy. I would like to thank everyone this month who wished Jack a happy birthday. He had a lovely day and was really pleased to receive all your lovely post. He also started school and is getting on really, really well. We are going into hospital tomorrow for a Portacath rescue mission as Jack’s isn’t working as well as it should right now, so please wish us luck! Jack is doing ok though he has still got a bit of a wet cough which is hanging around. He is very excited to be turning 5 this month and starting ‘big’ school. We had a little holiday which was lovely. Thanks to all who have sent post this month. I would be really grateful if anyone sending post to Jack could add a little note to Harry as he is feeling a little left out! Jack has a bad cough at the moment and we are trying to get to the bottom of it! He is fine in himself though, still a ball of mad energy! He is looking forward to school and has got his entire uniform ready now. He just has the important task of choosing a lunch box left! We are going to Devon for a little holiday soon so we are all looking forward to that. Thanks to everyone who sent post this month. Jack is doing well and he is looking forward to starting ‘big school’ in a couple of months. We’re also going on holiday for a week to Devon to hunt for dinosaurs which he is looking forward to. Thanks to everyone who sent something to Jack and Harry this month. Jack is continuing to do well. He is having routine I.V’s this month. He is getting excited about starting school in September. Thanks for all cards/letter/gifts this month and everything for Harry too. Jack is doing well at the moment. He is enjoying the good weather and has been spending a lot of time running around outside which is great physio! He has been visiting his Primary school to get him used to it for when he goes in September and he is very excited. Thank you for the post and Jack really loved the bear he was sent. Jack has had a few different coughs and infections but is still in high spirits. Jack is currently waiting to see if he will need some I.V’s in hospital. He has started coughing after being taken off his medication at his annual review. Jack is continuing to do well. He had his annual review last week and he is showing no signs of getting worse. His doctors have stopped a lot of his medicines to see how he will cope without them – we’re a bit worried by this but are hoping he stays well without them. Thanks for all post that has been sent this month. Jack is dong well at the moment. We had a really good Christmas and i would like to thank everyone who sent a card/gift or message to Jack and Harry – it was very much appreciated and they loved everything they got. 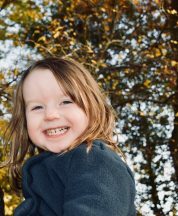 Jack is still having 3 monthly IV’s and will hopefully have his annual review in January. Jack is still doing well and he is really looking forward to Christmas. He will be having 2 weeks of i.v antibiotics from the 2nd December so he is a bit sad to be missing school. Jack is really well at the moment, his Doctors couldn’t be happier with his progress and current health. We had a lovely holiday this month and Jack and Harry saw Bob the Builder, Fireman Sam, Barney and loads more of their favourite characters. We had a really lovely time. Jack is due an annual review sometime soon so hopefully the results will be positive. Thanks to everyone who has sent such lovely cards/gifts and letters to Jack, we are all really grateful that you guys take the time to make him smile each week. Jack is continuing to do well. He has started a new nursery and is making lots of new friends. We are going on holiday in 2 weeks and Jack’s really excited as he will be seeing Bob the Builder! He had a lovely birthday party and we would like to thank everyone who sent cards and gifts. Jack is really well at the moment and he will be starting at a new school in a couple of week’s time. It’s Jacks birthday on the 15th of September and he is having a surprise party! Thanks again for all your lovely cards and gifts. Jack is doing really well at the moment. I have been trained to administer his i.v’s so he can have them at home rather then spending 2 weeks in hospital every 3 months. He is cough free for the first time since he was diagnosed, so we’re keeping our fingers crossed he will stay well for the time being. Jack is doing ok. He will be in hospital from the 2nd June for at least a week for i.v’s. Jack has been having lots of fun on holiday and he has learnt to swim! Jack is doing so well at the moment; he will be starting home i.v’s soon which will be really great. He will be going into hospital for a week on the 2nd of June then coming home for a week on home i.v’s then hopefully all his other i.v’s will be at home if he is well. His port has been a godsend, just one tiny prick and his i.v’s can be administered without any pain or tears and no theatre! Jack still really loves getting post and especially likes photos of people’s pets and hearing about their lives. Jack’s brother Harry is now older and would like some post to read as well please if possible! Jack spent last month in hospital and had a portacath fitted into his chest. This will give the doctors direct access for all future antibiotics. Hopefully this will make a huge difference as Jack has had a lot of problems in the past keeping lines and canulars open. Jack is back home now and is well again! He is currently off school for 2 weeks for half term. Jack has had a tough month this month. He has been in hospital for 3 and a half weeks. He had IV antibiotics for a chest infection and also had a portacath fitted for future use. He is still very sore but getting there and has been allowed home today so he’s really happy. Hopefully we can now have a quiet period where he will stay well for a while. He will also be having 3 monthly IV’s now to keep things under control. Thanks to everyone who sent Jack and Harry post this month, we had a tough time in hospital so it really cheered us up. Postpals really has made a difference to our lives, when things aren’t going well there is still post to look forward to. Jack isn’t well and he is going in to hospital for 2 weeks of intravenous antibiotics on Monday and then he will be transferred to London to have a portacath fitted. 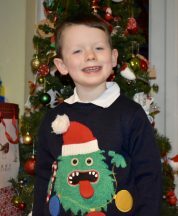 He had a lovely Christmas and we would like to express how much all the cards and parcels we received meant to us, especially Jack who loves receiving your post! Thank you! Jack is not doing brilliantly at the moment. He has a reoccurring cough; he may have to have regular i.v’s at 3 month intervals starting from January. He has his annual review in London next week and we’re hoping it goes as well as possible. We have had a breakthrough with Jack’s nebulizer as he isn’t crying anymore and just accepts it, so that’s a big struggle over each day. I just want to thank Post Pals; it’s a fab organization that brightens the day of a child who can’t understand why life’s not great some days. Jack knows that whatever treatment or procedure he has to have he will always have Posty to look forward to! Jack is well. He recently had 2 weeks in hospital having i.v’s as he has got psudemonious (sp?) He is now taking daily nebulizers and having more antibiotics. He doesn’t like his Neb’s as he has a fear of masks, but we are hoping he will get used to it like he did his other medication. He has lost a lot of weight so he has lost his little pot belly, but all in all he is feeling a lot better after that dreadful cough he had. We have just found out Jack has an infection and is being admitted to hospital for 2 weeks on Thursday 18th Oct until 1st Nov for I.V antibiotics. I am sure any extra smiles and tlc would be much appreciated. Jack celebrated his 3rd birthday in September. Thanks to everyone who sent him birthday cards and gifts, he had a whale of a time opening them and showing his friends at his birthday party. He is ok health wise, apart from a bad cough. If it’s still lingering by the time he is in clinic (October), there is a good chance he will have to go into the children’s ward for 2 weeks of I.V’s. We have stepped up his physio so hopefully this won’t happen. He is doing well at school and has made a new best friend, which is really lovely to see. He has come out of his shell now he feels well which is fantastic for us to watch. He is a lot more like a normal little boy now; before he was diagnosed he was very withdrawn and quiet. Post Pals is a fantastic organization. It has really helped Jack to look forward to each day, which was hard for him before. We would like to thank everyone who has taken the time to send anything to Jack, it really brightens his day, especially when he’s feeling poorly. He waits for our Postman everyday to see if there is anything nice for him. He also really enjoys sending the other Post Pals cards and pictures he has made. Since having a Bronchoscopy a few months ago, for which he was anesthetised, Jack has been having nightmares about hospitals and doctors. We have been collecting a doctor’s kit to dress Jack’s dog teddy (Ivy) up in so that he has a companion on his hospital visits! I just wanted to thank Post Pals and everyone who has sent Jack wonderful cards and parcels! It really brightens his day when the postman arrives with a handful of mail for him. I just love watching him tear open the letters in anticipation and i love seeing his face light up when he finally gets inside the envelopes. Post Pals has made a huge difference.